Protein is called the building block of the body for good reason. It’s responsible for the growth of our skin, muscles, hair, nails, bones, blood, hormones and more. Protein also helps the body to recover by repairing damaged tissue, so we need to ensure we have a suitable intake of protein to help the body grow and function. Because the body doesn’t store or produce all of the amino acids necessary to make proteins, we must source them from our diets, with the recommended daily intake being around 50g for the average person. However, there are variable to consider, such as age, weight, and gender, which is why it’s recommended to calculate your daily intake as 0.75g of protein per kilogram of weight. You may need to increase your protein intake in certain circumstances too, such as being pregnant, trying to build muscle mass, on a special diet, or when during pregnancy. This results in many people struggling to hit their daily intake of protein. It is harder than it looks, especially when eating more than 50g of protein, but there are some easier ways to increase your protein intake each day. 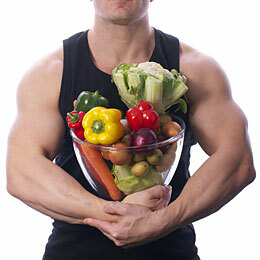 One of the easiest and most effective ways of increasing protein intake is to eat protein with each meal. This makes reaching your daily intake goal quite easy, as you just need to determine your intake and divide across how many meals you eat a day. You can even add it to your snacks too for an even easier intake of protein throughout the day. 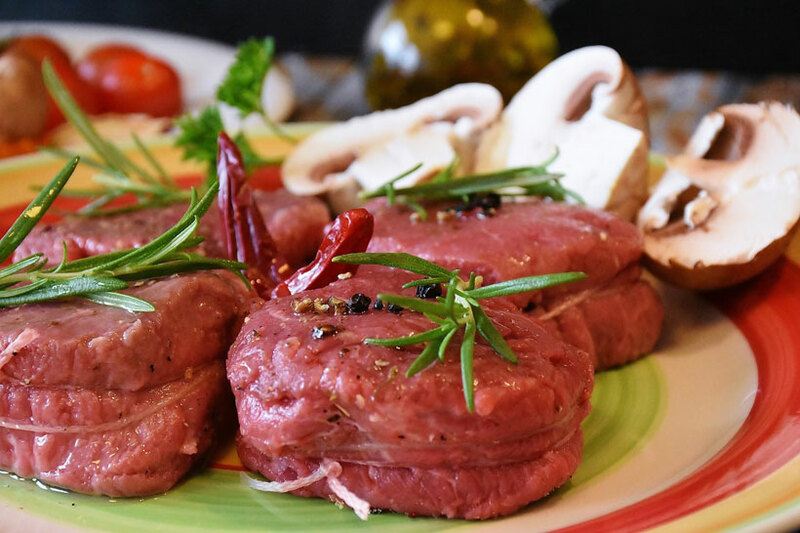 Many people find it easier to eat more balanced meals that don’t have too much protein, especially when your intake is quite high, as it’s certainly challenging to eat huge quantities of proteins across one or two meals. If you want to increase protein to help with weight loss, such as a low-carb diet, then starting the day with a portion of protein is a great idea. Doing this before you eat any starchy foods like bread or bagels means you’re less likely to feel hungrier throughout the day. This is because a higher protein intake results in lower production of ghrelin, a hunger hormone that increases appetite. Your metabolic rate also increases when eating protein, meaning your body uses more energy during the day and when you sleep. Gymequipmentgb.co.uk have created an interesting infographic “10 Reasons to Eat More Protein” which outs lines the reasons (backed by science) why you should take more protein. Yoghurt is a great way to start your day with protein. One serving of Greek yoghurt offers up to 20g of protein, making it much easier to hit those daily intake goals. It also features probiotics to promote digestion and gut health – just make sure it’s non-fat! Snacking is another great way to increase your protein intake with little effort. Many people love snacking throughout the day but the most popular snacks are usually lacking in enough protein. So, it’s just a case of swapping out those low-protein snacks for some high-protein! There are plenty of options when it comes to high-protein snacks too, so it should be easy enough to find a few things that you enjoy eating. Crackers and crisps probably need to go however, but there are lots of tasty alternatives that pack a protein punch. Cheese is a great snack that is rich in protein and quite versatile. For instance, a 28g serving of cheese has anywhere between 7g to 10g of protein depending on the type. You can combine this with oatcakesor toast, while adding cheese to your meals is another way to increase protein intake. There are many other protein rich snacks worth trying, including jerky, Greek yoghurt, peanut butter, almonds, hummus, and hard-boiled eggs. Eggs are packed with protein and incredibly versatile, making them another great option for hitting those daily protein goals. As mentioned, it’s a good idea to have protein with breakfast but not many traditional breakfast foods are rich in protein, except for eggs that is. For instance, 3 large eggs have up to 20g of protein, which is around half the recommended intake for most people. You don’t need to have these at breakfast either, as eggs make a suitable addition to most meals. From scrambled eggs to omelettes to hard-boiled eggs, adding eggs into your diet is one of the easiest ways to get a high amount of protein each day. Adding protein to your lunchtime salad is another simple way to increase protein intake. Best of all, there are countless ways to add protein to salads, making it easy to find something that suits your tastes and dietary requirements. For example, the simple addition of almond nuts to a salad not only provides a new burst of flavour and texture but also plenty of protein. One 28g serving has around 7g of protein, making almonds one of the most protein-rich nuts around. These are also great for vegetarians and vegans looking to add more protein to their salads. Various meats and fish are also amazing protein-rich additions to a salad. For instance, a sliced turkey or chicken breast has an average of 30g of protein, while salmon and tuna have around 25g per 100g serving. Not only do you get a lot of protein in your salad, but also the nutrients, vitamins, and minerals from all the vegetables. Protein shakes aren’t just for body-builders -anyone looking to reach their daily intake of protein can use them! In fact, protein shakes are one of the easiest ways to hit your protein goals, especially when you’re looking to increase your daily intake but are struggling to reach it. On average, a single 28g serving of protein powder provided a whopping 20g of protein. It’s also usually a lot easier to consume compared to meal! Simply add a scoop with milk or water for a quick shake that gives you plenty of protein. Better still, take the opportunity to add some delicious ingredients to your shake, such as fresh fruit, coconut or almond milk, or peanut butter. You can even substitute your daily snacks for a protein shake, with the added protein helping to beat your appetite on those long stretches between meals.